The Chattanooga area economy received some welcome news from the real estate market last month according to data released by the Multiple Listing Service (MLS) of the Greater Chattanooga Association of REALTORS. In December of 2011, Southeast Tennessee and the Northwest Georgia area saw the sale of 458 residential units, a robust 15.1% increase compared to the previous month’s sales, and a very solid rise of 3.4% from the same month of 2010. 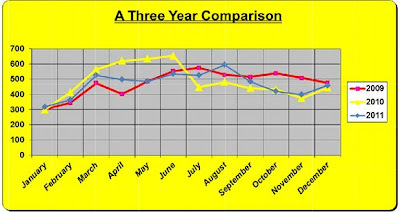 In good news for homeowners and sellers, the local median home price showed a welcomed increase from November of 5.8% to $132,250, but a drop of $4,750 (3.5%) from December of 2011 – still indicating a positive market for buyers in an area of this size. 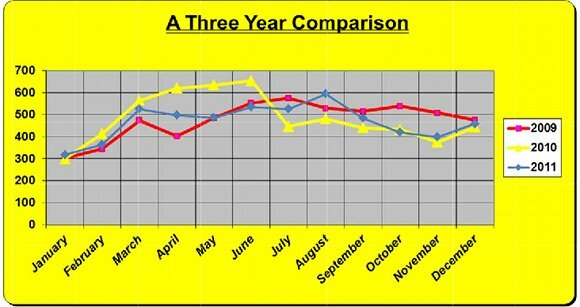 Among the other encouraging developments, GCAR also reported that the average days on the market decreased by 9 full days from November, as well as 10 days from December 2010.